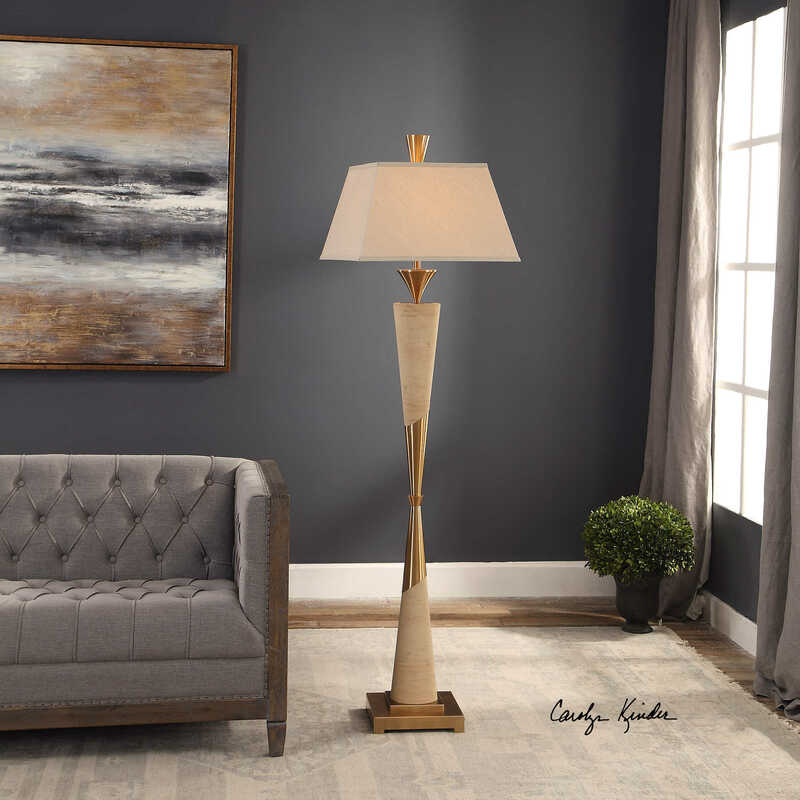 The conical design of the Saahir Mid-Mod Floor Lamp features polished beige marble with natural striations, sheathed in brass plated metal with matching decorative spun details. The sharply tapered square hardback shade is a light khaki linen fabric. Designed by Carolyn Kinder International.